What’s in the box, how to set up your PS4 and getting connected online. HDMI cable: Connect from the PS4 HDMI port to your TV to get pictures and sound onto your screen in glorious high definition – or even more glorious 4K and HDR, if you have a fancy TV and a PS4 Pro. Power cable: No surprises here; your PS4 needs electricity, so you need a power cable. PS4 earpiece & mic: Chatting with friends, discussing tactics for online gaming and listening to game audio is easy – the supplied PS4 headset can do all this and more. Your PS4 can connect to your home WiFi network, or – for a more stable connection and faster download speeds – via an Ethernet cable to your modem. It all happens via the Settings > Network menu on your PS4. Once you’re connected, online gaming, video streaming, social networking and everything else is yours to explore. Set up a free PlayStation Network account for each user and they’ll have a unique online ID that connects them to the world of PlayStation. A PSN ID is your invitation to our online world – create a unique user profile, download games and movies, and connect with friends. Create accounts for each family member and have full control over what they can play, watch and do online. Once you’re set up you can add fellow PS4 friends to chat with, play alongside, and see what they’re up to via the What’s New feed. PlayStation Network – or PSN – is the entire PlayStation online ecosystem. Once you create your PSN ID, you can get started with all of our online services, like online gaming with PlayStation Plus, downloadable games and movies from PlayStation Store, TV and movie streaming services and everything else that your PS4 can do online. Build up a collection of physical games on PS4 Blu-ray Disc from high street shops and online retailers – that’s what the disc slot on the front of your PS4 is for, after all. The latest PS4 games are available to download from PlayStation Store as soon as they’re released – as well as free-to-play games and demos that won’t cost a thing. PlayStation Store is our online shop, where you’ll find every PS4 game as soon as they’re released, plus game demos, add-ons, pre-orders and more. And with regular sales and promotions on digital games, building up your game library won’t break the bank (or your PSN wallet). And it’s not just about games. The PlayStation Video section has the latest movies and TV shows to download or stream, as well as a selection of free entertainment apps. PlayStation Store is available from your PS4 home screen, on PC and on your smartphone. PS Plus is our subscription service for players who want to take their gaming to the next level with PS4 online games, PlayStation Store discounts, two PS4 games each month and more. That’s right – join PS Plus and every month your game library grows by two PS4 titles, so as long as you remain a member, you’ll never run out of things to play. 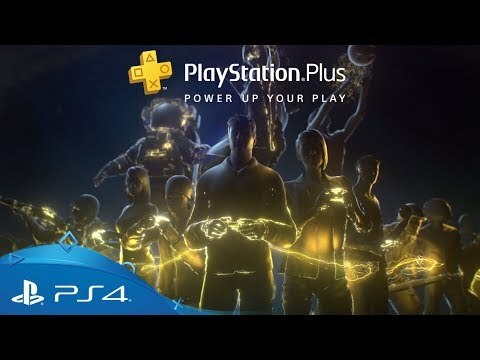 A PS Plus membership is your invite to join a huge, vibrant community of gamers, and the only way to play online games with friends. As a member, you’ll get exclusive discounts on selected digital games – as well as extra savings piled on top of our regular promotions and sales. With Share Play, any online friend can join your party and watch you play in real time, play the game themselves, or join you in a multiplayer match. They don’t even need to own the game themselves. Every PS Plus member gets 10GB of cloud storage for game saves and automatically back them up online – so you can continue your progress on another PS4. How much is PlayStation Plus? You can join PS Plus on a one, three or 12 month recurring payment plan – or try it out with a 14 day free trial that gives you full access to all of the games, online multiplayer and discounts that members enjoy. Connect and share your gaming experiences to social media, with your PSN friends, or watch what the world is playing. Press SHARE on your controller and you can upload screenshots and video clips to Twitter, Facebook or YouTube – or let a friend play your game via PS4 Share Play. If you’re a wannabe YouTuber, have your own Twitch channel or just want to show off your skills, hit SHARE and start a live broadcast of your gameplay for anyone to watch. Prefer to watch other people play? The Live from PlayStation tab is where you’ll find gamers all over the world streaming their adventures. There are loads of ways to chat to your friends on PS4 – either in a party, with text messaging, or via our dedicated app. The Party tab on your home screen is the place to bring friends together; up to eight players can chat together to arrange gaming sessions, discuss tactics or just shoot the breeze. You can send text messages to any other PS4 player, attach screenshots from your games and include stickers, for them to receive instantly, or next time they sign in (you can even send and receive messages via PlayStation.com if you sign in here). The TV & Video tab on your PS4 home screen is where you’ll find your favourite TV and movie streaming services, like Netflix or Amazon Prime video, as well as free services like YouTube. It’s also where you’ll find movies you’ve bought from PlayStation Store. Install the Spotify app for PS4 and the world’s music is yours to enjoy directly from your console or as a soundtrack while you play. You’ll find the Spotify app on PlayStation Store, and can control your music by long-pressing the PS button on your controller. Want to watch your own video files, listen to your mp3 music collection or view your photo collection on your TV screen? Connect the USB storage device they’re saved on to your PS4, then load up the Media Player from your home screen. Easy! Delve into your PS4 settings menu and you’ll find lots of ways to customise your console so it’s set up just how you like it – from tweaking message notifications to making it easier to share your greatest moments. Check out our guide to getting more from your PS4 on PlayStation Blog. Our dedicated PS4 support hub has the answers to all sorts of questions you might have on PS4 and all things PlayStation – just select your product and type your question. Having issues getting your PS4 online, or signing in to PSN? There’s a good chance you’ll find the answer to your PS4 problems on our Fix & Connect page. If you’re having issues with your PS4 hardware or accessories, and haven’t been able to find the answer from the support hub, don’t panic – get in touch with us via the hardware support page and we’ll do all we can to fix your PS4 or controller. We’ll make sure you’re among the first to know about all the PS4 news – including events, announcements, sales and more – with regular newsletters delivered straight to your inbox. The place to be for breaking news, interviews, announcements and all the upcoming PS4 games, directly from game developers and the people behind your favourite titles. Like or follow the official PlayStation Facebook, Twitter, Instagram and YouTube channels to see the latest game trailers and live updates, wherever we are.